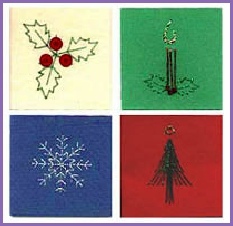 Holly, Candle, Snowflake & a tiny Xmas Tree to use as Gift Tags or Motifs for Scrapbooking. 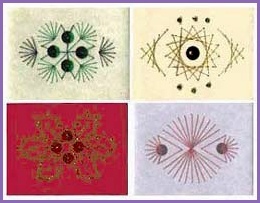  A variety of simple designs on oblong cards. 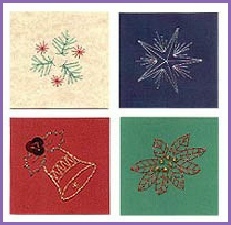 Sprig, Star, Bell and Poinsettia - perfect Scrapbooking embellishments too.